I was looking through my materials sent to me by various places, and discovered a bunch of CD’s I did not know I had. A total of 19 of them. There’s several different titles, and instead of my usual doing a giveaway for each, I’m doing one BIG giveaway. It will be a trivia contest like I usually do, only this time, I’ll be picking a CD at random from those 19 winners pick from the folks who send in all the correct answers. Here’s a list of what’s in the giveaway pile. All this stuff is still sealed, and brand new! 3 copies of the Sabbath Tribute CD "Nativity in Black II"
5 copies of Tony Iommi’s solo CD, "Iommi"
Please send your answers to bigcdgiveaway@black-sabbath.com – Please note that ANY EMAILS SENT ANYWHERE ELSE THAN BIGCDGIVEAWAY@BLACKSABBATH.COM WILL NOT BE ELIGIBLE FOR THE CONTEST, AND WILL BE DELETED. The contest will run till Monday, September 30th. Who is the only person ever to sing vocals on a Black Sabbath album other than the "Sabbath vocalist" for that album? Think "guest vocalist". I’m not counting backing vocals, or someone else who was a member of Black Sabbath. Which member of Yes played for Black Sabbath and when? 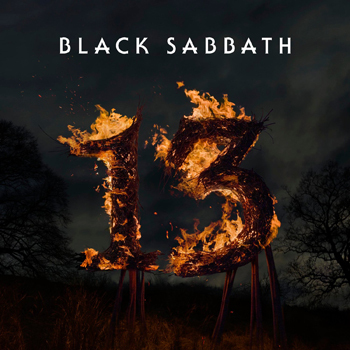 How many official studio albums has Black Sabbath put out over the years? Which tour did Sabbath cover a Deep Purple song during it’s set, and what was the song? 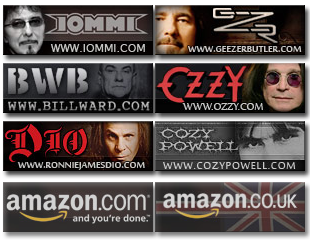 Which of these was not a former band name of Black Sabbath’s? Polka Tulk Blues Band, Mythology, Earth, Polka Tulk. If you’re picked as one of the winners, the winning CD is a random choice, please don’t ask me to give you a specific CD. The contest starts NOW, and runs till Mon, Sep 23rd at roughly 6PM Central Time US. It’s open to everyone, you don’t have to be in the US to enter. PLEASE send your address with your entry, so if I pick you, I can get the prizes right out. Please be aware that I do not save any of the information at all. It’s solely for the content, and once the contest is over, I delete all emails and address records, so there’s no worries about me "selling info" or any garbage like that.